As its name implies, the Anerley Bicycle Club was formed in Anerley, a south-eastern London suburb very close to Crystal Palace, in 1881. There can be few older clubs than ours which can boast “we never closed”. From penny-farthings to carbon fibre! The club has been active throughout this 135 year period although during the 1960s-1970s the active membership was down to three, albeit supplemented by about a dozen old-boys from pre 1939-45 war years. Note old-boys! Women were not admitted to full membership but could be “associate members”, allowed to make tea and cake for the male racers. I joined the club in 1955, purely by chance, having just completed my National Service in the Royal Signals. Time trialling was the only form of racing so I just did that, I know no other. In 1957 the club was split regarding women members. At an extraordinary general meeting a motion to admit women resulted in a tie. The chairman excercised his right to a casting vote and voted for exclusion. Not until 1978, when the club was again rocky, were women finally admitted. Searching through old rule books I could not find any reference to male-only membership. Strange! Our club-room was in a pub, The Simla, situated in Thornton Heath, near Croydon. I was intrigued by the name and much later discovered it to be the name of a British government hill station in the Himalayas, at about 8,000 ft up. The big-wigs made their way up there in the summer to escape the dreadful heat of Delhi. I determined to visit Simla by bike and when, in 1995, finally did, with John Dadson was astonished to find in the wild himalayas an English town with a lovely church and Gaiety Theatre, amongst other things. A narrow-gauge railway had been built, winding its way about 60Km from the plains along narrow precipices and through rock-blasted tunnels. Back to the Anerley Bicycle Club! We invited women members, we approached local secondary schools and, horror of horrors, we established a web site! It worked! 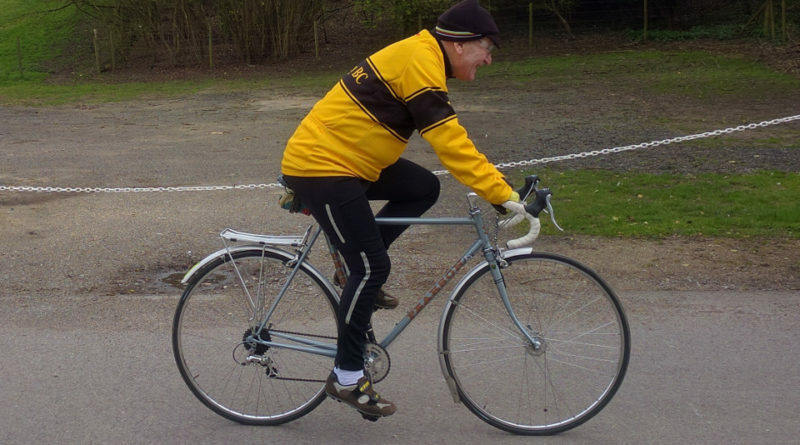 Most Croydon cycling clubs are racing orientated. We are not. 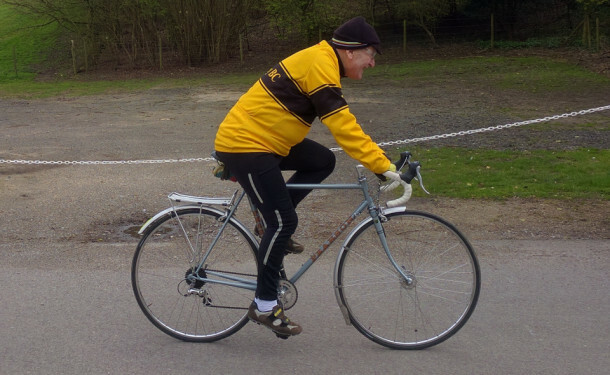 We advertise ourselves as a friendly touring club, with easy-paced club runs. We have three runs a week! Tuesday, Thursday, and Sunday. The majority of our members are old or retired. Amongst them are doctors, teachers, carpenter, joiner, taxi-driver professor, matron, paramedic. small nucleus of would-be racers entering time trials. Not so long ago I felt pessimistic about the future of our old club, the club that about the turn of the 20th century ran the famous Anerley 12, sometimes at Herne Hill track, sometimes on the road. With the upsurge in cycling, with cycling shops opening rather than closing, the future’s looking bright. What a wonderful sport and recreation cycling is. Oh, and we have a Latin motto; Palmam qui meruit ferat. From our posh days!